This book emitted those feelings you get with each of the above. 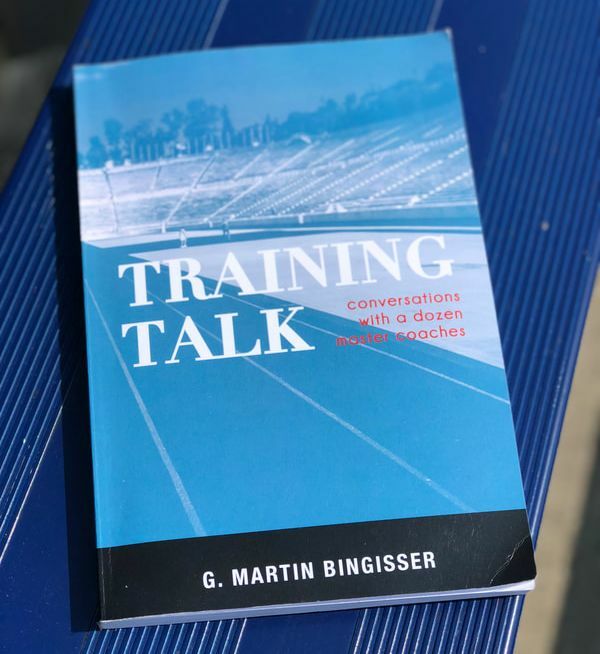 Filled with nuggets and pearls, Bingisser curated hours upon hours of chats with the best of the best and transcribed it into this book of conversations with a dozen master coaches. This book was divided into two parts. Part 1, "At the Track", contains interviews with track and field coaches. In Part 2, "On the Field", Bingisser chats with leaders in team sports. Although unconfirmed, I believe this book was an edited and curated transcription of discussions from his podcasts and personal interviews with each of the experts. "I think it is always better to be slow and in correct positions to apply forces than fast and out of position. If you are out of position, you cannot apply forces to build on it." "Do you need to be strong? Yes. But you need to be more technically sound." "If you are training speed and power, you need to be training qualitative movements, and if you are training qualitative movements, there has to be the element of speed in the movement at all times." "Posture is simply about finding the best position to apply force, technique is the same." "In working with some young coaches the last couple of years, I keep telling them they are videoing too much because you’re not allowing your eye to develop. You are too dependent on being able to go back and look at the video later... A video can be a nice supporting feature, but I don’t take too much of it." "On training philosophy: is it specific to the event? And, if not, is it essential to injury prevention? The rest of it you don’t need." "There are endless amounts of drills..., but what works and what is important, in the time that is available for each athlete, is to weed out the things you don’t need to do." "The more complex something is, the fewer rules you can have." "I feel the majority of what’s been published in periodization is actually obscuring our vision and getting in the way of proficient training management." "Look at KPIs. Not just key performance indicators, but also key performance inhibitors." "No scientist can tell you what to do. Everyone is different, and what works also changes." "The questions is always: what do I need for my athlete?" "The two big differences that separate pro guys from college guys are their self-awareness and ability to conduct deliberate practice." "Contingency planning is a staple of great generals." "Intense exercise selection must follow the principle of polarization of intensity. Exercises need to be either specific and intense enough to highly transfer, or they need to be non-specific enough to contribute to general athletic abilities and recovery processes." "Utilize technology to accurately measure the actual physiological impact of a coaching staff’s “training philosophy." "Appropriate training management is about resolving paradoxes"
"Sticking to the plan religiously isn’t a virtue. Consistently turning up in the best possible state of mind and body and making an informed decision on how best to target technical quality, volume and intensity to most appropriately move you towards realizing your goals, on the other hand, is." "If a strength training program or a proposal for a strength program doesn’t also mention the program’s negative effects, it is probably a very poor program." "Just writing what you have done does not give you the adaptations." "People make a caricature that if you just do these exercises, things will sort themselves out. You still, as a coach, have a difficult task to apply this approach in such a way that the system is under enough pressure to improve." Overall, Training Talk was a nice discussion about experiences and lessons learned in applied training theory with a little bit of coaching sprinkled in on top. "Easy to read, (potentially) difficult to digest" is how I would best describe this book. Several years ago, I had contacted two well-respected colleagues and bluntly asked them what, in their experience, was the most effective method for improving recovery post-injury. After a short discussion it was made clear that I had to speak an individual named Gary Reinl. Well I did and today I can confidently say that I have a better understanding of the potential negative role that ice can play on post-injury healing and recovery. Long thought to be the first and possibly most important protocol a therapist must apply to an injured athlete, icing is now seldom if at all pulled from my toolbox thanks to Gary. For those of you who have yet to meet Mr. Reinl, watch his interview with Kelly Starrett, and/or are still frequently using ice and cryotherapy in the acute management of sports injuries, I highly suggest you read Iced! As I mentioned above, this book was easy to read and for me, a nice break from most clinical textbooks. In fact, I was able to breeze through the book on my return flight to and from a recent to Portland (approximately 5 hours). As I also mentioned above, this book may potentially be difficult to digest for some. Again, traditional clinical wisdom tells us to use ice and cryotherapy post-injury but since inflammation is a critical early step in the healing process of muscle and tissue injuries, it is very important that we instead try to facilitate this natural process...and speed it up (again, the whole process) if necessary. There is no question that Gary is a great story teller. And this book reflects exactly that. In a coherent and progressive manner, Gary uses a first person narrative to tell us why we started applying ice in the first place, how he came to the epiphany that icing may not be ideal, and how he directly and indirectly influenced the same thought processes of most North American professional teams' training staff. Gary also devotes a chapter to the three phase healing process and summarizes the current state of the literature on the use of icing in injury. What is made clear is that there are actually no high level research studies that unequivocally conclude that icing speeds up the healing process and that some studies even state that icing can delay the healing process. Rather than leaving the reader with no alternative to ice, Gary graciously provides us with examples of protocols that have anecdotally worked for him and his clients/athletes following injury. Now certainly, we would have to do some critical thinking ourselves, but his examples really make it simple for the reader to understand the rationale behind muscle contraction and injury recovery and subsequently apply similar principles. With all that said, does it mean that icing and similar therapies are completely unnecessary? Gary does stress that in a life or death scenario (i.e. amputation, injury in the woods, etc) icing would certainly be a viable option. However, there has been some valid research with respect to the use of ice baths to upregulate the sympathetic system in hyperparasympathetic states. Remember though, such scenarios are separate from acute injuries. In my opinion, I think this book would be relevant for all stakeholders in sport. From athletes and coaches to medical staff and front office personnel, Iced! is a welcomed myth-buster that in due time, will no doubt help athletes recover from injury in a more timely and efficient manner. Section 2: Designing Practice to Make Athletes Think – (But Not Too Much)! 7. Skill Learning the Implicit Way: Say No More! 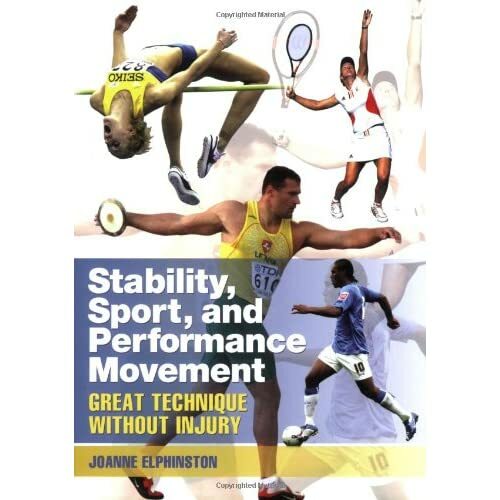 Although I had read this book shortly following it's publication in late 2008, I recently re-read it in its entirety due to my increased interest in applied sports science from each of a coaching, strength and conditioning and sport medicine perspective. Reading this book provided me with a deeper insight into how sports experts ACTUALLY develop rather than how we may think they develop. Utilizing the evidence, the editors of this book called upon researchers and coaches from around the world to shed light on the successful and unsuccessful practices employed by scientists, coaches and athletes. Incorporating and comparing both theory and application, topics such as deliberate practice, the developmental model of sport participation (Cote), implicit skill learning, and paralysis by analysis were introduced and expanded upon to provide us (the reader) with a better understanding of how athletes become "sports experts". Overall, I think this is an excellent book for any stakeholder involved in sport including coaches, sports scientists, athletes, policy makers and even sport medicine professionals. And although you may or may not directly work with elite athletes, it never hurts to gain better insight into why Bolt became Bolt and Tiger became Tiger. Note: If this aspect of sports science and coaching interests you, I highly suggest another book titled "Talent Identification and Development in Sport: International Perspectives". This is a different kind of review. For any clinician, this is a must read. But rather than providing you with my opinions on this book, which are beyond positive by the way, I thought I'd provide you with some pearls. Enjoy! "We may ask why, when treating essentially the same disorders, preference is given sometimes to one method and sometimes to another. This...gives the impression that the choice of method depends on which treatment the practitioner is best able to perform, irrespective of actual suitability." "As a rule a nociceptive stimulus produces somatic and autonomic changes. It is necessary to understand these changes in order to arrive at a rational, targeted course of treatment." "The dysfunctions of the locomotor system..., together with the reflex changes they produce, may aptly be called the functional pathology of the locomotor system." "The vast majority of cases of pain are not associated with demonstrable morphological changes in the locomotory system. In effect, therefore, these are patients with no diagnosis." "Modern civilization brings with it very one-sided, unvaried posture and movement, causing muscular imbalance. Lack of movement together with static or postural overload are a characteristic feature of modern life. Disturbed movement patterns and static overload are probably the most frequent causes of reversible restrictions and of their occurrence and recurrence." "It is important to realize...that not all vertebral segments have the same importance for the overall function. When performing a brief assessment we shoud therefore focus on key regions (craniocervical junction, cervicothoracic junction, middle thoracic spine, thoracolumbar junction, lumbosacroiliac joint, feet)." "Faulty neurological and psychological control are among the factors involved in the pathogenesis and clinical signs and symptoms of locomotor dysfunctions. However, they are not identical with them." "The locomotor system has to coordinate the specific function of respiratory movement with the function of locomotor activity...The most important issue here is the close link between respiration and postural function." "Since movement is an outward effect of psychological activity, it is also true that psychological activity is a factor in motor function." "Present-day knowledge of functional inter-relationships shows i to be essential to study the entire locomotor system at the initial examination." "Dysfunctions should not simply be diagnosed by process of elimination...Instead, diagnosis should be based on characteristic symptoms." "The greater the number of complaints a patient has...the greater the likelihood that these are indeed vertebrogenic dysfunctions." "Almost any kind of trauma, even if it only affects the limbs, affects the spinal column." "Function and its disturbances in the locomotor system are influenced by movement, load, posture, and position, especially if the position maintained is stressful. Therefore one of the most important points in recording the case history is to discover under what conditions the pain occurs." "The soft tissues surround the muscular and articular structures everywhere, and need to move in harmony with them...For this reason, dysfunctions that are closely associated with the function of joints and muscles can be diagnosed in the soft tissue."